808 pp. Binding firm, tiny chip on cover. No markings. Humorous tales about a quaint Canadian city. 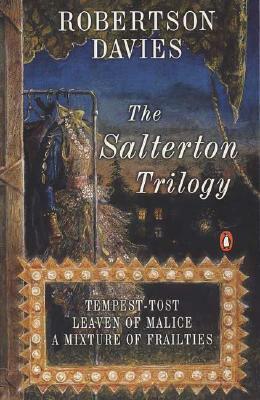 Contents: Malice, A Mixture of Frailties and Tempest-Tost. Keywords: Robertson Davies. Canada. Canadian Life. Salterton.